Video Marketing - Why You Should Do LOTS of Short Videos! You are here: Home / video marketing / Video Marketing – Why You Should Do LOTS of Short Videos! 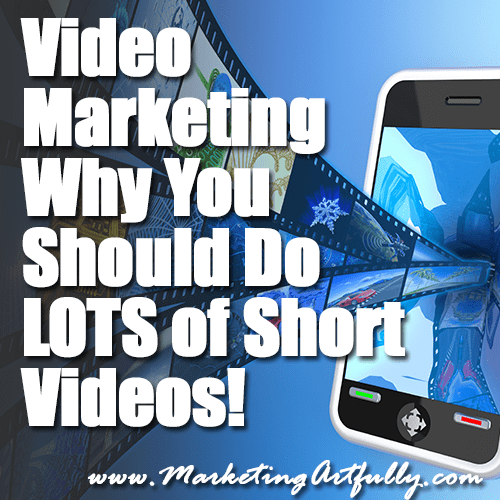 Video Marketing – Why You Should Do LOTS of Short Videos! Helping thems – these benefit your watcher…they teach them how to do something or enrich or enlighten their lives in some way. If you have read my blog for any time now, you KNOW that I am squarely in the, “people are too damn busy to watch your advertisement” camp. I think every piece of content you make should help your viewer or reader. So now that we have that out of the way….why do I say you should do short videos? First, you probably are not willing to pay a fortune for short videos. I DO think fancy videos have their place sometimes, but the chances of my readers being able to afford to have hundreds of little videos made professionally is slim and so we probably can agree that using an iPhone or personal video camera is sufficient for most of your videos. I have to say that the most powerful and sharable content we post is OVERWHELMINGLY the videos that we upload directly to Facebook! 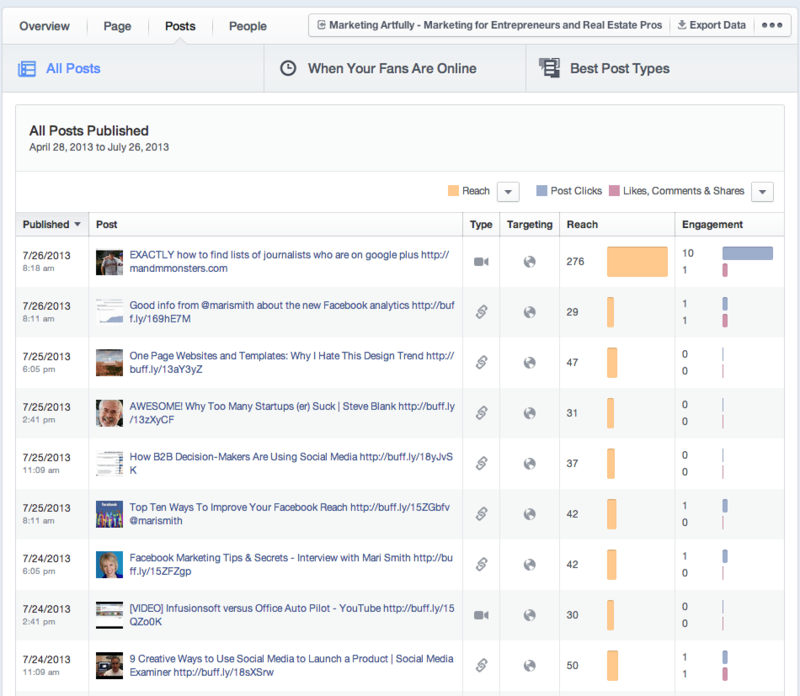 I redid this experiment today and got 38 views after posting to my Marketing Artfully page, 63 after sharing it to the Marketing and Media Monsters page and then ROCKED the house when I shared to Tara Jacobsen (my profile) with 310 views about an hour later. Lastly, no one really has time to watch your long videos. I am famous for producing documentary length videos and blog posts, but practically, it is better to do a bunch of little ones that you can share all over the place than to have one GIANT one that has limited reach. Previous Post: « Limit Your Market – A FABULOUS Guest Post About Niche Marketing!